4)Supplemental Program, updated on August 8, 2013. 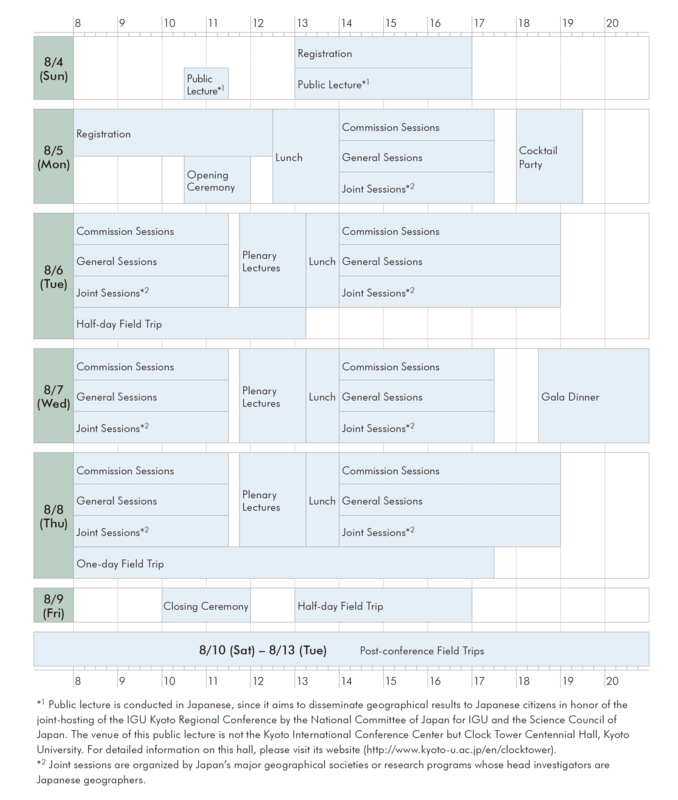 In addition to the major session categories (plenary session, commission session, general session and joint session), special sessions are planned for the Kyoto Regional Conference. A description of the special sessions organized by the IGU Executive Committee is available HERE. We hope many participants will be interested in them.